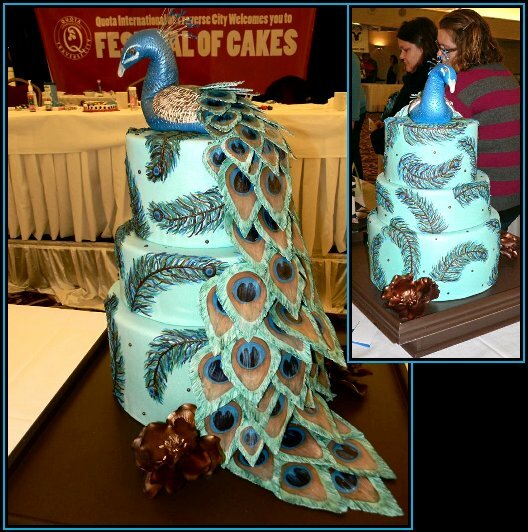 People's Choice: - Professional Fondant Second Place: - Anne Barraclaugh, Aunt B's Cakes & Desserts - (Cake #8) Feathers on the tail are handpainted gumpaste, feather's on the cake are hand piped. 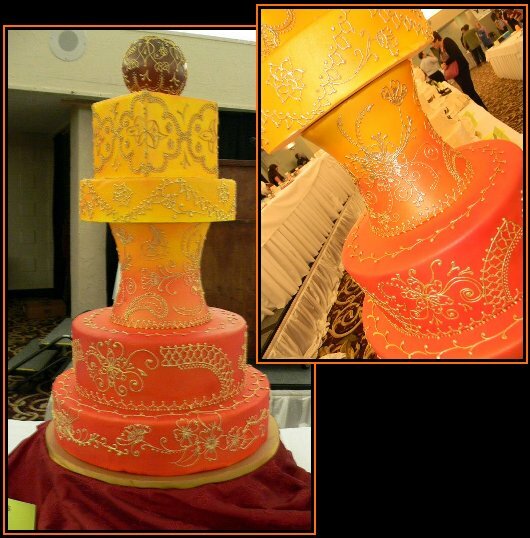 Also entered was this Indian inspired cake. The hand piped and hand painted scroll work is taken from the Henna designs that indian brides have done for their wedding day. 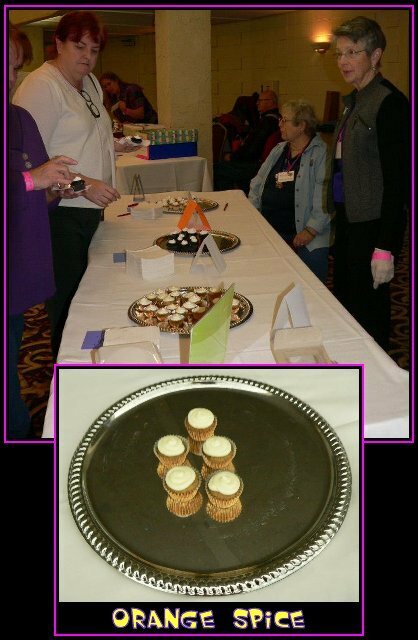 Judge's Results: - Professional Tasting First Place: - Ann Barraclaugh, Aunt B's Cakes & Desserts - (#3) Our orange spice cupcakes with cream cheese icing took the blue ribbon this year. 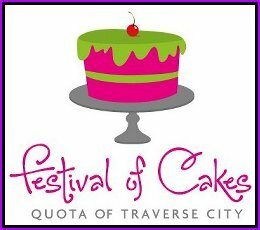 I use several different ingredients (orange spice, chai, and lavendar) from Light of Day Organics Farm and Tea Shop in my cakes. 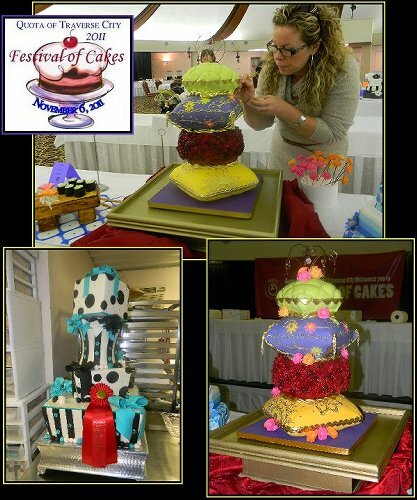 2011 FESTIVAL OF CAKES Ann walked away with three first place ribbons and one second place ribbon. 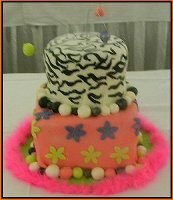 Elly's cake that took first place in the children's division. Taking after mom!